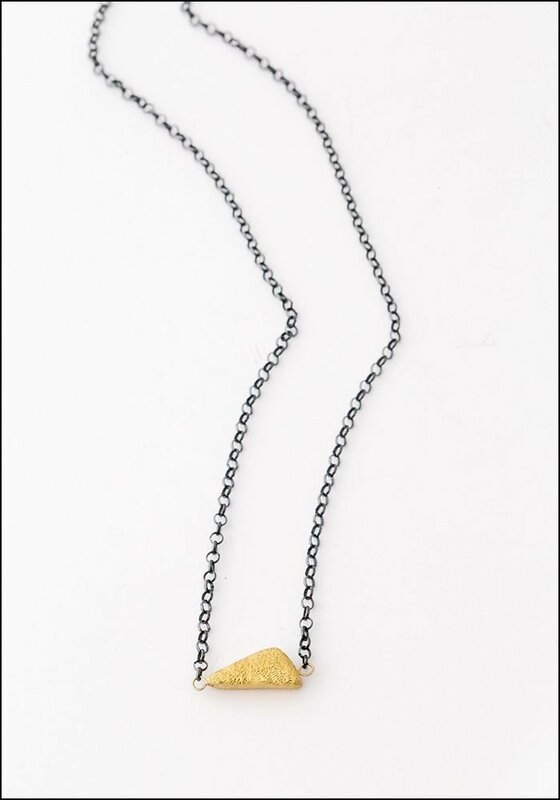 Understated yet chic, this handcrafted necklace is lovely layered with other necklaces, or just on it's own. Also a charming gift. 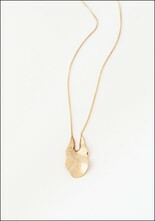 > High-polish brass, 100% 14K gold-filled chain. 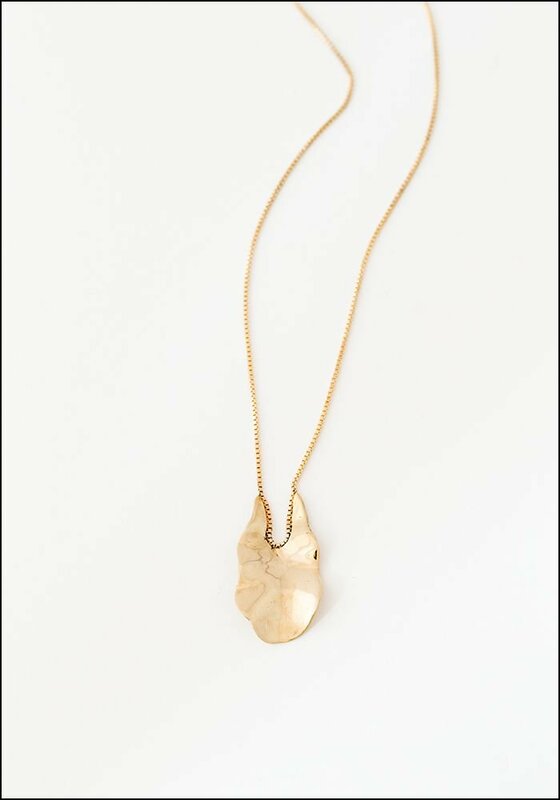 > Pendant length: 1.25". Width: .75". Chain length: 28". > Handmade in New York, New York. > Found at our 88 Charles S. location.